A brand by brand comparison showing prices, options, capacity etc. 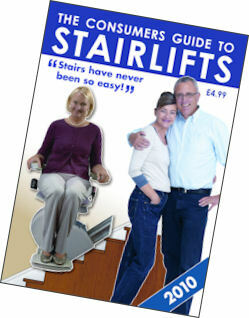 This guide is intended to aid the consumer in 'looking into' the stairlift market by offering a snapshot of whats available. You will get an idea of the models and options on offer, their features and key things to look for when considering a purchase. Our guides are completely 'impartial' with no links to specific manufacturers so you may feel confident that advice and information presented is unbiased and independent. To order your FREE consumers guide please complete the form below.